We will have stock shaker screen, decanter centrifuge, vertical cuttings dryer as well as shale shaker in inventory in our Houston facility. Following we sell some merchandise, we will supply it all over again from China headquarter. We only need one batch of decanter centrifuges and shaker screen received from Houston seaport. The portion equipment include: 2 models GNLW223 decanter centrifuge, as well as 7 pcs wooden containers of shaker screen. The actual Mini centrifuge GNLW223 is usually used for diamond drilling, mining or prospecting, piling, or other development industry. The shaker screen is used as replacement shaker screen for Swaco Mongoose shaker screen, Derrick DE1000 shaker screen, Nov brandt king cobra shaker screen etc . In year connected with 2014, one client by Canada bought 10 models GNLW223 MINI centrifuge regarding diamond drilling project. The particular fine work performance in addition to lower price make clients happy and we build long term romance after that order. GN have different model centrifuge several purpose. Decanter centrifuge is utilized more widely, different bowl measurement centrifuge with different speed, can function for different application. We have only 1 model for vertical cuttings dryer, but we have one particular family model for centrifuge. GNLW553 and GNLW453 is definitely GN big bowl, major volume centrifuge which is used regarding fast drilling. But basically, not too many clients want to use these kinds of model centrifuges because of the bigger price. GNLW363 is the most well-known model centrifuge which can be utilized for different purpose. The 14inch bowl centrifuge is equivalent to UNITED STATES OF AMERICA brand decanter centrifuge, eg. Derrick DE1000 centrifuge or Swaco 518 centrifuge. GNLW363 centrifuge can be used for oil drilling solids control or drilling waste management. The speed are adjustable by variable speed control panel stepless. This centrifuge can also used for waste h2o treatment with super broadband 3800RPM. 2) What shaker screen do GN have? GN can offer different brand substitution shaker screen, including substitute shaker screen for Derrick, NOV and Swaco. Other equipment also tock in Houston ,such as shear pump, shale shker, mud agitator etc. 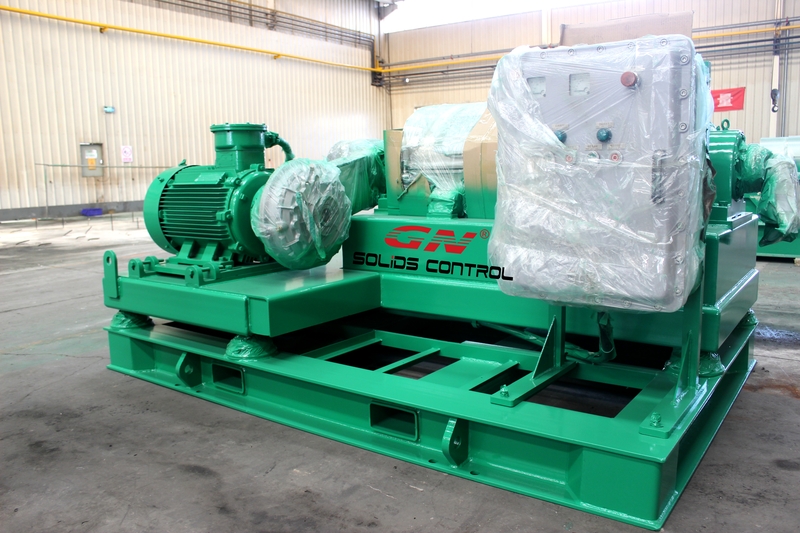 welcome to contract us to know more information about solids control equipment.